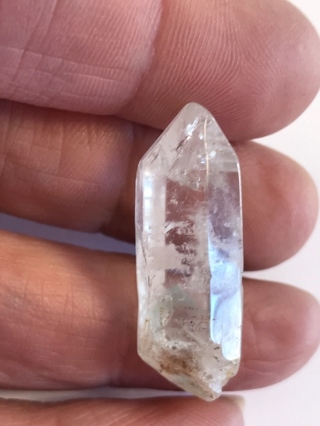 A polished point of Chlorite Phantom Quartz. Chlorite is an iron, magnesium and aluminium based mineral, mostly found as an inclusion within Quartz. It is used for skin repair, assimilation of vitamins and pain relief for deep seated, auto immune disorders.